We recovered the floor and repainted the pillars and walls. 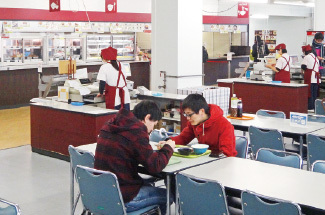 The cafeteria in South Building, Hamamatsu Campus became increasingly degraded that it interfered with hygiene management and work efficiency in the kitchen. 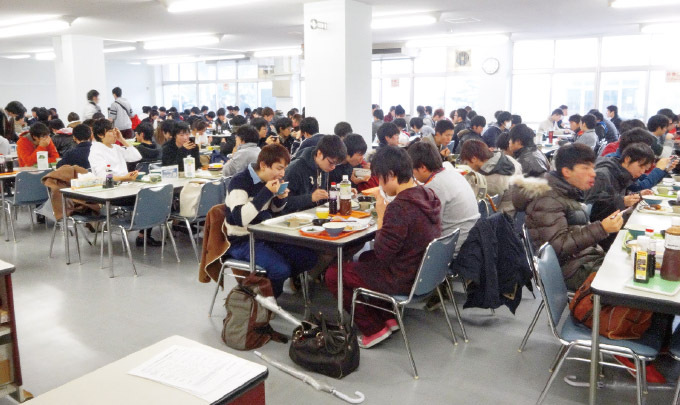 After our persistent efforts in discussions and negotiations with the university for three years towards its improvement and maintenance, we revamped and reopened the cafeteria in September 2014, mainly with an improvement of the kitchen facilities and renovation of the hall. The kitchen was re-papered and pipework was done using the university budget. 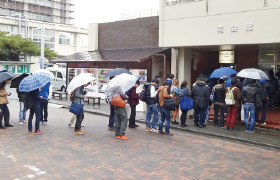 Meanwhile, Shizuoka University Co-op carried the costs of renewal and addition of boiler, freezer, refrigerator, washing machine, sterilizing cabinet, gas cooker, hot food cabinet, and cold tables, as well as installation of food counter near the entrance, recovering of the floor, and painting of pillars and walls. Initially we proposed a master plan to renovate the building. However, the university provided budget only for remodeling. Fortunately, the basic design of the kitchen reflected the initial plan, which leads to a significant improvement of working environment. 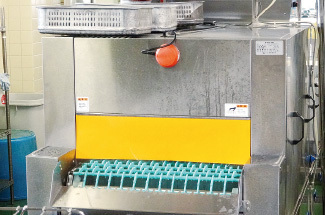 By the updating and addition of hot food cabinet and cold table, we are able to improve the quality control and food restocking. The improvement has been well received by critics and readers. 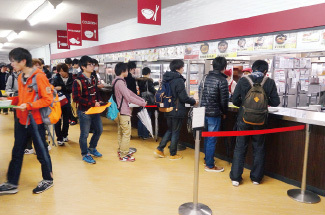 Students line up in front of the counter for each menu. The improvement ensures a smooth flow for the students to get their meal, pay the bill, and then go to the table. On the right and left side of the wide aisle there are counters that sell food by weight and counters that sell single dish menu. The working environment has been improved after the recovering of floor, installation of pipework, and updating and addition of equipments.